July Recap + $100 Magnolia Market Gift Card Giveaway! OK – will someone please tell me where July went?!?!?! It’s time for another Reader Appreciation Giveaway! I hope that in some small way, these monthly gifts from me, here at Worthing Court, help to show you just how much I appreciate you! Let’s do something a little different. I’ve been giving away a Visa gift card each month, but let’s mix it up a little. 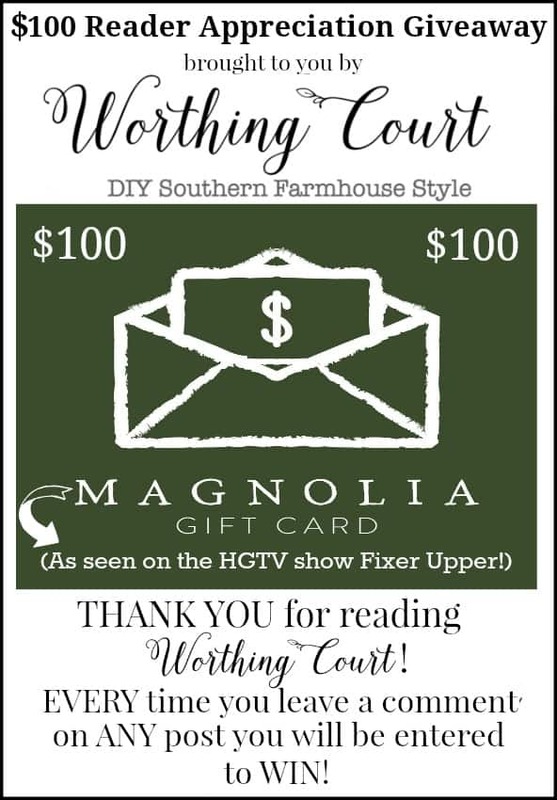 How about a $100 gift card to Magnolia Market! If you aren’t familiar with Magnolia Market, it’s the store owned by Chip and Joanna Gaines (of the HGTV show Fixer Upper) themselves. Yep, their online store is filled to the brim with all things Fixer Upper. I’ve made it even easier for you to win! Before, you were required to leave a comment on the monthly giveaway blog post to be entered and to make sure you clicked on the Rafflecopter widget so that your comment would be counted. But now, EVERY time you leave a comment on ANY blog post during the month of August, you will automatically be entered to win. Yep – you can have multiple entries by leaving a comment on multiple posts! 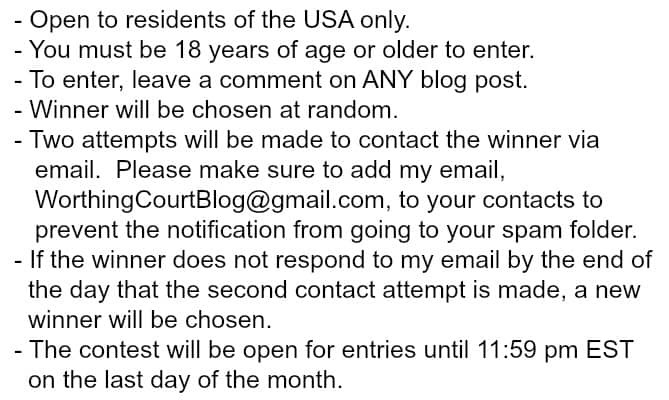 The August giveaway will end on August 31st at 11:59 pm EST. Make sure you scroll down to see the revised rules. July was a busy month for me. I thought summer was supposed to be relaxing! LOL Let me show you what I was up to. Click on the link above each image to be taken directly to the blog post! I have lots in store for you during this month of August, including the before and after final reveal of my dining room makeover! I love how it turned out and can’t wait to share it with you! I am obsessed with Fixer Upper and would love to win!!!! Great ideas – thanks for sharing. Love the ease of entering your giveaway but especially like I now know what I’m making for dinner tomorrow. 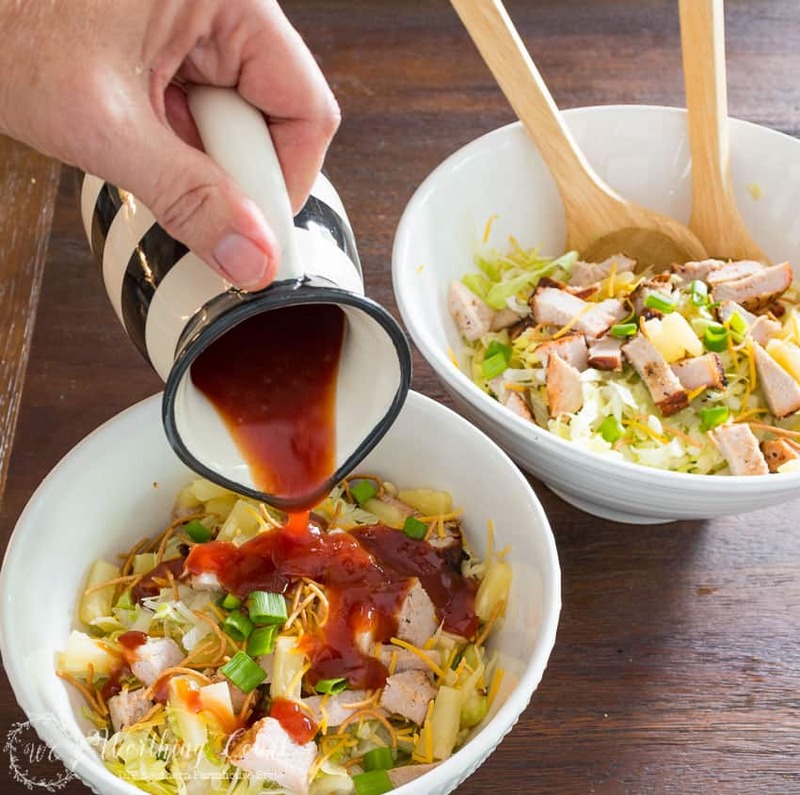 That pork asian salad looks delicious. Thanks for the chance to enter!! Love, love your blog and Magnolia Market! I love that show! Her style is beautiful. 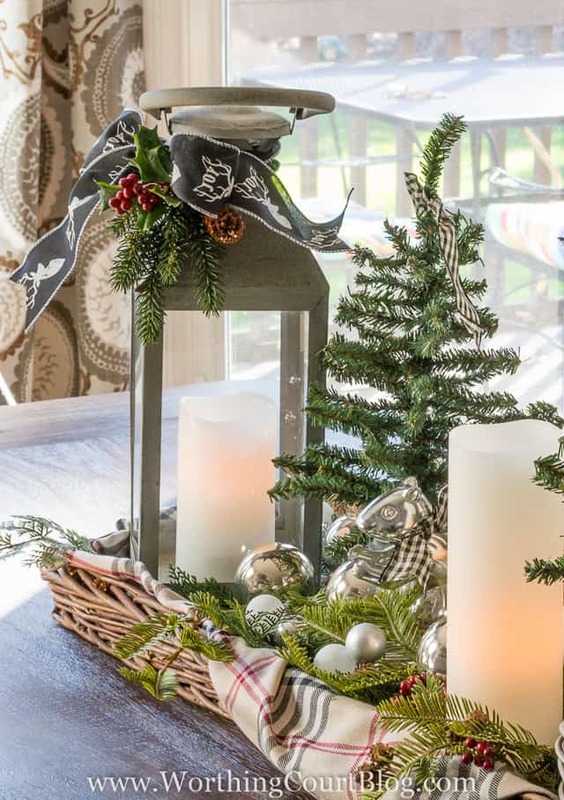 I love fixer upper and this blog, great giveaway!! I just found your blog whilst looking for DIY lantern plans and I am looking forward to perusing your archive. What a great giveaway! I am from South Georgia in Albany and like your things with idea. I’m in the process of a redo in my dining area!! So excited to be using a lot of your ideas!! 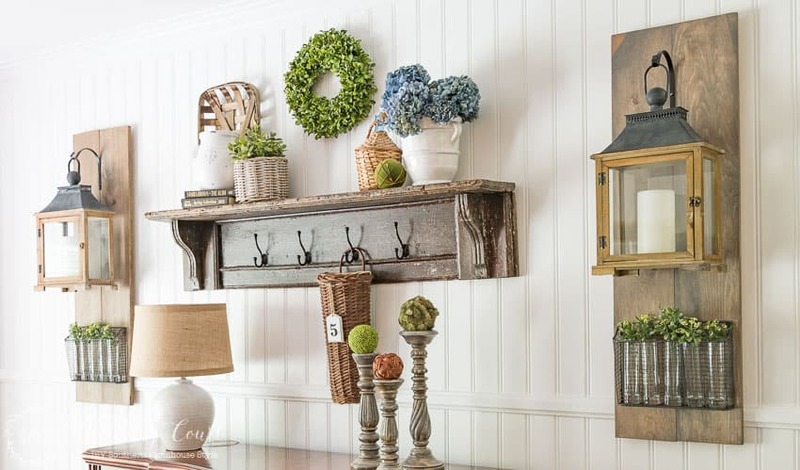 Love all the ideas and love the fixer upper decorating! I find myself pinning almost everything you send me…thanks for the inspiration! Enjoy your blog tremendously. Visit my web site and you will see some beautiful outdoor weddings on our historic estate…Magnolia Hill ! Love you dinning room makeover. Great job ! 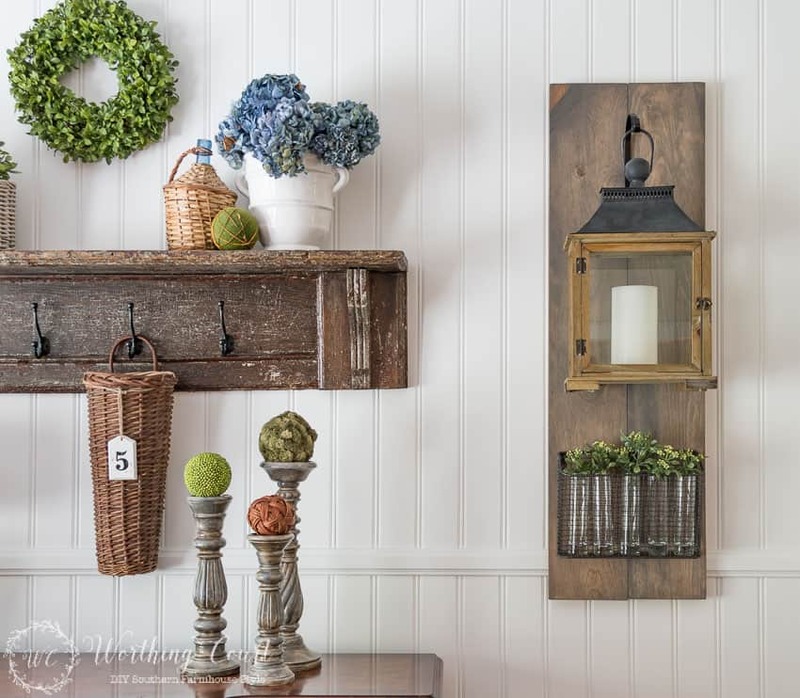 Hanging lanterns – must get!! Thanks for the give-away!! I love your ideas! I’m beginning my search for lanterns today! Your home is soooo amazing!